As mentioned in yesterday’s column, at the nation's Capitol last Thursday, I attended a fascinating panel discussion called "Energy Innovation: Fueling America's Economic Engine," with some high-powered people. While Congress was experiencing an outage. 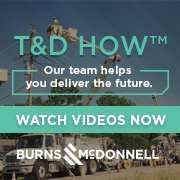 In these two more brief videos, from left to right are Royal Dutch Shell Chairman Chad Holliday, American Air Liquide Chairman and CEO Michael Graff, Southern Company Chairman and CEO Tom Fanning, Jay Faison of ClearPath, and former Aerospace Corp. CEO Dr. Wanda Austin. The first video is another excerpt of what Southern Company’s Fanning said, and the second is another excerpt of what Shell’s Holliday said. “The miracle of what directional drilling and fracking has done to the release of heretofore unavailable gas resources. What are the imperatives inside the energy space? Things like storage. Micro-storage in the form of batteries. Macro-storage in the form of things like using the Earth as a battery, pumped-storage hydro, CAES (compressed air energy storage). A variety of big ideas where we can get storage at-scale. My sense is lithium-ion is a good technology, but it'll only take us so far. We need real material science advances to be able to push that idea. And then the other one is just this idea we're still going to need to do something with the carbon atom. So CCS [carbon capture and storage], which heretofore has been a tough thing. We need to continue to invest in dealing with the carbon atom. I'm so happy with what the Secretary [of Energy, Rick Perry] said about that. “Great question. I think if we accept the fact there is a real need to deal with this issue. And if you don't deal with it roughly by mid-century, it's going to be very difficult to keep global warming from having the kind of impacts that you see in the projections. We try to put it in perspective for you. What does it mean dealing with it by mid-century? Shell, we produce no less than two percent of the energy in the world. If we're going to do our part, our share of that, we got to go from one carbon capture and storage plant to twenty. These things go for about a billion dollars a pop. We have one major offshore wind facility now. It's not even operational yet. We got to have two hundred. We got to take our mix of our mid-summer energy from fifty-fifty natural gas and oil, to seventy-five percent natural gas.